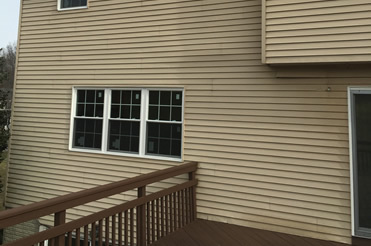 Caulking Unlimited is a leading caulking contractor serving residential and commercial customers in the Maryland, DC and Northern Virginia areas. We offer exterior caulking services including inground pools (expansion joints), windows, doors, and other exterior structure. 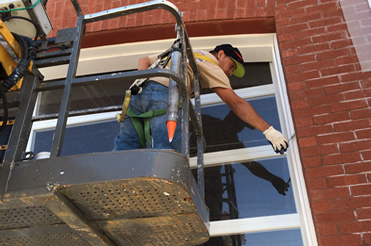 Our customers include all types caulking for commercial companies. For professional caulking around your home we use a non-sag caulk versus self-leveling. 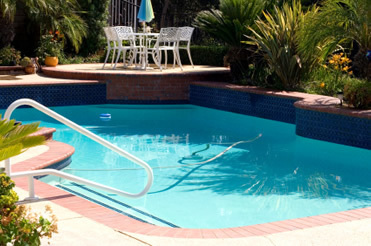 We offer exterior caulking services including inground pools (expansion joints) and other exterior structures. On your pool, the expansion joint between the pool and the deck is an important area to periodically inspect. Any gap between pool coping and decking will allow water to enter behind the two independent structures. During cold weather this water will freeze and expand causing the coping and/or decking to lift or crack. All water, whether it is from your pool, rain or wherever, will seek the lowest point. It will follow the surface, and if there is a path through the surface it will create voids that lead to sinking decks, beam damage, cracked tile or coping and shifting or lifted concrete. You have to maintain a superior sealed expansion joint so the water rolls over the top of the deck (and not under it). Whether you've had the pool for years or your pool is newly built - this part of the pool building process can be left unfinished or improperly sealed. Even if your builder did the job properly, caulked joints must be inspected and replaced every 2-4 years. In some cases you can go for years without noticing a problem but eventually the damage to coping stones, tiles, beam or decking will become apparent. Some homeowners turn to DIY caulking but soon realize why the pool builder may have neglected this step - it's not the easiest part of the construction process. On your knees, keeping the sides of the joint clean and dry, applying the correct caulk, tooling and making it look professional will sustain the beauty of your pool. This isn't a small area people won't notice, this is the focal point of your backyard so it's important to not spill, or drip the sealant over your tile or concrete, as it is almost impossible to remove. For professional caulking around the pool we use a non-sag caulk versus self-leveling because the Non Sag caulk is gun grade (Not Trowled) and does not run like self leveling. We also use a urethane sealant to provide better adhesion and we hand-tool the job for a better appearance. Caulk is applied by gun and hand tooled. Caulking Unlimited is a leading caulking contractor serving residential and commercial customers in the Maryland, DC and Northern Virginia areas. We offer exterior caulking services including inground pools (expansion joints), windows, doors, and other exterior structures. © Copyright 2016 Caulking Unlimited. Website Design by G3 Group.